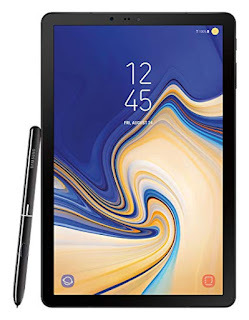 Samsung – the tech giant is planning an event next month and it is expected that the company will launch Galaxy Tab S4 accompany with Galaxy Note9 smart phone. It is often seem, actually, it is the powerof technology that when a big thing is planned, rumors and leaks are at height of the news. Now pictures have been leaked providing more and more insight to the device. Only a 10 – second video leaked, showing that there are no buttons on the front and all the four edges are thinner than its predecessor. The next thing is very interesting as there is a single camera on the back with LED flash and no fingerprint sensor for Galaxy Tab S4. The device is said to have 10.5” display with glass on the back and available in two colors – White and Black. Recent indication hints that the device will hit China at first which can take as a quick launch.